Building on the success of the Total Community Development 3 (TCD3) process, an extensive eight-month community outreach campaign involving more than a thousand residents and used as a foundation for prioritizing community issues and objectives, Houseal Lavigne Associates directed the update of the Downers Grove Comprehensive Plan. 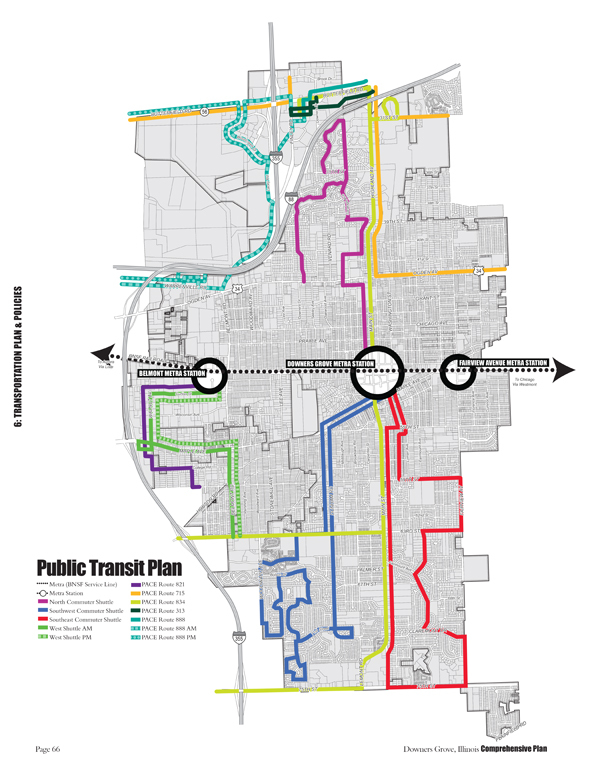 The Plan provides detailed recommendations for several sub-areas within the Village, including the Downtown and the Ogden Avenue Corridor, as well as plans for all areas of the Village, including land use and development, transportation, community facilities, environmental features and open space, and much more. Since the last Plan’s adoption in 1965, the Village has experienced significant population growth, as well as socio-economic and physical changes. The Plan was created to better address the changing needs of the Village’s commercial and industrial areas while protecting and enhancing its attractive and well established residential neighborhoods. In 2012 the Downers Grove Comprehensive Plan received the Daniel Burnham Award by the Illinois Chapter of the American Planning Association for the best Comprehensive Plan in the State.